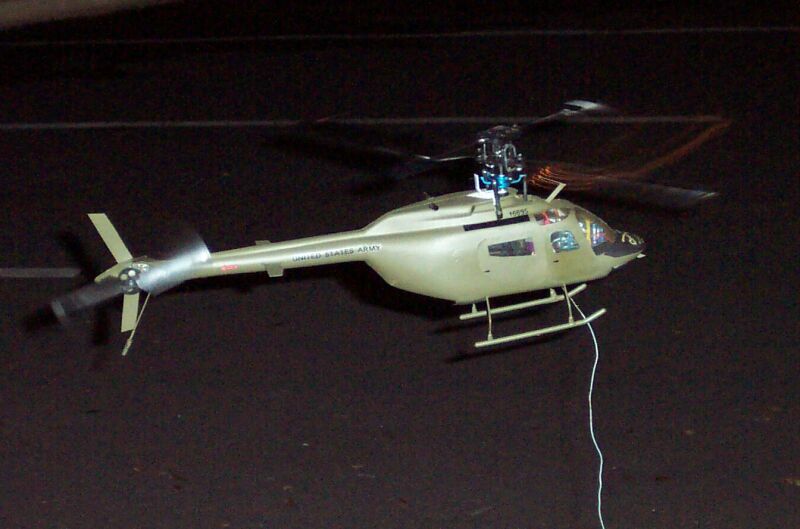 This site is a collection of information and pictures about my (and my friends) Micro Heli Warbirds. The site mainly covers machines based on the Ikarus Piccolo at the moment, along with my own design hybrid - the Piccornet. 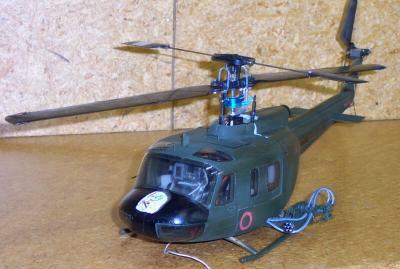 Models covered include the AH-1S Cobra, the OH-13 Sioux (two versions) and the OH-58A Kiowa. Below are links to the feature pages of my site. Features are listed in 'latest to the top' format. Each feature lists the date that it was last updated. Click on the picture or the link to look at these features. These links also still feature in the left menu at the moment, but my intention is to remove them from there once I'm happy with the layout. Hard to believe they're the same machine eh? This was my 3rd project for 2004 (March). I took the dove-white, peaceful, civilian UH-1 below, and massaged it into this fire-breathing, death-dealing, "Grunt's best friend" from the Vietnam era. The internals are once again my own-design hybrid, this time fitted to a massaged Ikarus UH-1 Huey body. For more pictures, information and specifications please check out the feature. My second project for 2004 (February), and a temporary deviation from my Vietnam theme. 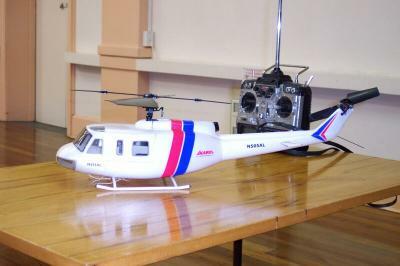 This is the standard Ikarus Bell UH-1 fitted with standard Ikarus FUN Piccolo running gear. I built this machine up, purely as a stock review machine, and was pleasantly surprised with the way it performed, especially considering it's 'budget' origins. This feature has pictures, details and specifications of the model. A collection of pictures of Rob Ramsey's and my own Piccolo "WarBirds". helicopters. The airframes are based around a fixed pitch ECO Piccolo, a collective pitch ECO Piccolo, and the Piccornet Hybrid. This feature has pictures of all three aicraft, and the information focuses on Rob's RNZAF OH-13 Sioux Scout. This is my OH-13S Sioux Scout. The model is based on an actual machine that served with Charlie Troop, 1st Regiment, 9th Cavalry during the Vietnam conflict. The core of the model is an Ikarus ECO Piccolo with Ikarus collective pitch kit. This feature contains numerous photos, specifications, and details of the model. This is my OH-58A Kiowa Scout. Unlike the Sioux, this model is based on a hypothetical machine that might have served with 'The Cav' during the Vietnam conflict. The core of this model is my own design hybrid. The frame and tail are Ikarus ECO Piccolo with a MS Composit Hornet collective pitch head, and many modified and third party components. This feature contains numerous photos, specifications, and details of this model, along with a little of the background behind the concept.